Great strides are being made in telemedicine and remote diagnostics – but developing a working, intuitive, and fully automated system that does not require the oversight of a health professional presents another level of challenges. The $10M Qualcomm Tricorder XPRIZE Competition presented the moonshot goal of fully automated diagnosis of 13 chronic health conditions, continuous vital signs monitoring, and logging of that data to a cloud server – all in a consumer-oriented solution that weighs 5lbs or less. Dylan will provide a “boots on the ground” perspective of what it took to be one of the only teams to design and deliver a functioning medical Tricorder, going on to win the Qualcomm Tricorder Bold Epic Innovator XPRIZE Award. The resulting “VITALITI” Tricorder by Cloud DX will also be on display. 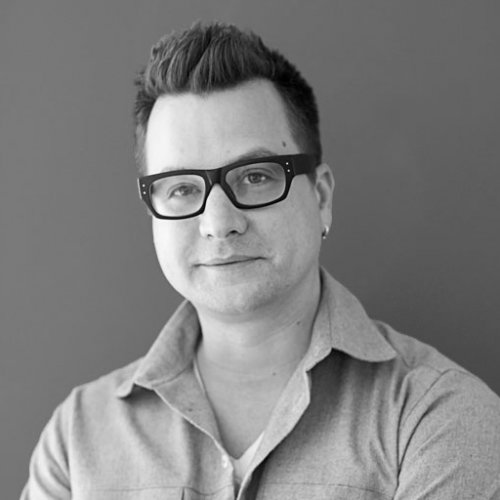 Dylan Horvath is the owner of Cortex Design in Toronto, Ontario. Cortex visualizes, designs, and manufactures human-centric healthcare solutions for an expanding roster of international clients aligned with the common purpose of delivering fantastic human experiences. Dylan founded Cortex Design in 1999 as a way to make the jump from engineering into design, and began building a portfolio to bridge those worlds, initially providing engineering and product design expertise to more art-minded ventures including production design for film sets, electronic music equipment, and props for photoshoots and promotions. Cortex Design is now focused on delivering great human experiences in healthcare, a field rife with opportunities for innovation. In 2017 Cortex’s work for Cloud DX beat 330 international competitors to win one of the biggest moon-shot healthcare projects ever, the Qualcomm Tricorder “Bold Epic Innovator” XPRIZE. Dylan lives in the west-end art and design district of Toronto with his wife and 3 kids.